In today’s educational environment, Wi-Fi has evolved from a luxury to a necessity due to the ever-increasing number of mobile devices and laptops. 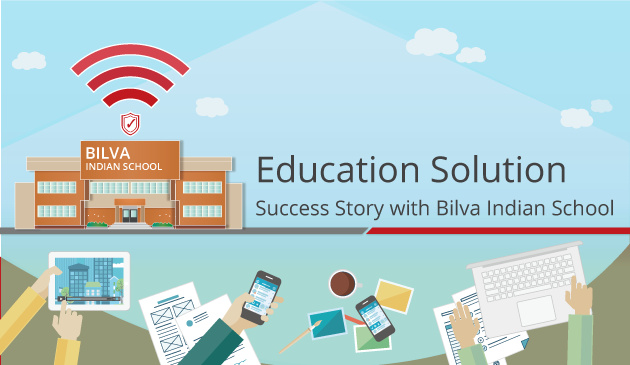 With 4ipnet's solution, Bilva Indian School is able to provide a dynamic and stable e-Learning environment that creates multiple opportunities for students to explore new avenues of learning. Bilva Indian School can easily perform detailed management of teacher and student access by creating multiple user roles, each with its own pre-defined set of policies and schedules. 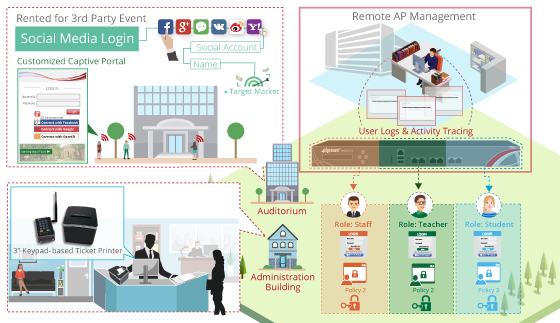 Furthermore, configurable wireless connectivity thresholds and AP load balancing help to mitigate the congestion caused by heavy concurrent access in areas such as lecture halls, providing a secure and reliable Wi-Fi service for over 1,000 active concurrent users. 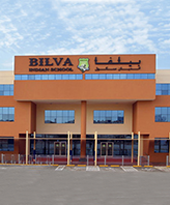 To provide complete wireless connectivity and seamless roaming across the entire building, Bilva deployed 60 EAP760 access points across the 2 Floor Classroom building. Featuring two 3x3 MIMO radios that can support up to1.3 Gbps data rate, 4ipnet EAP760 provides stable Wi-Fi service across all classrooms and corridors with fire rated doors, preventing holes in wireless coverage. With 4ipnet WHG525, the IT administrator are able to differentiate network access privileges between faculty members, students, and guests with unique access policies depending on schedule, evaluating security and efficiency for wireless networks. By combining ticket printing at the front desk with guest self-authentication via social media login, Balvia provides guests with a flexible number of ways to get on the Wi-Fi network.